As part of the program of the 2. ASSITEJ International Meeting ASSITEJ Austria and WLPG are inviting playwrights from around the globe to take part in the meeting and to present themselves and their work to the international community by writing 500 word monologues (“WLPG Sparks”) on a topic associated with the meeting: “Catalyst – a moment of discovery”. WLPG Sparks (Linz): Catalysts for Discovery is a collaborative project between Write Local. Play Global, the international TYA playwrights network, and ASSITEJ Austria toward the creation of original 500 word monologues on the theme of creative catalysts. 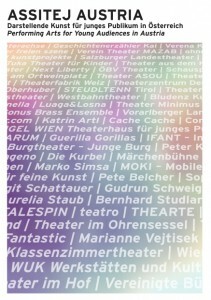 The selected pieces will be read by the playwrights at the ASSITEJ International Meeting which is being held from June 21-29, 2013 during the International Theater Festival SCHÄXPIR in Linz, Austria. Catalyst – a moment of discovery: “A catalyst can set off a spark that leads to a new discovery, a new question or a new way of looking at the world. Write about the moment that a person encounters a catalyst – someone or something – that fundamentally changes the way they see the world. They may or may not be an artist, but the catalyst makes this person think in new, creative, ways. Take a look a detailed description of the project including deadlines and application requirements. Applications are open until March 21st 2013!